Burr! Cold! I have turned off my sprinklers for the winter, the leaves have changed and are starting to fall, and soon there will be no more outside time unless it is in a parka. That doesn’t mean I have to give up something I love, like gardening, for 5 months. 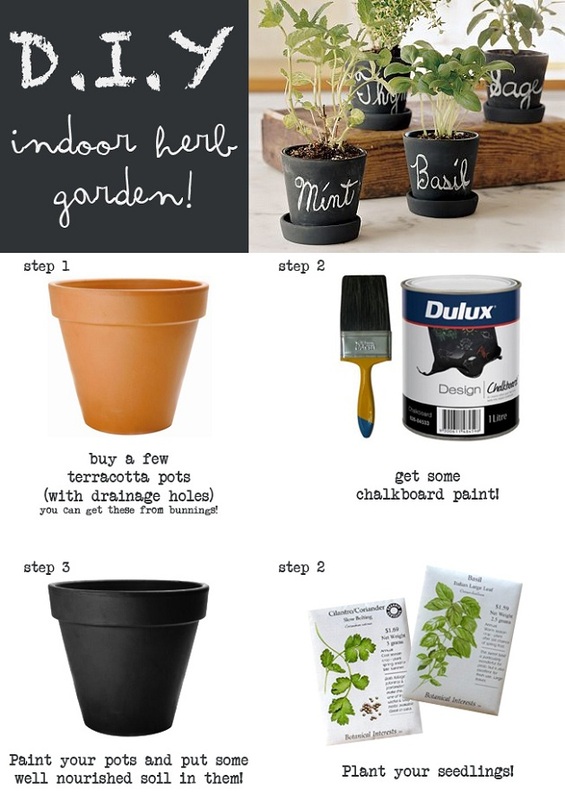 a DIY Indoor Herb Garden is such a fun idea! Not only is this DIY fun but it will give some fresh herbs for the winter! You only need a few things to get started on your mini garden. A terracotta pot that drains, chalkboard paint (really any pain you like), something to wright on the paint with (chalk or other), soil, seeds, and a brush. Head over to Breakfast with Audrey and get started on the DIY Indoor Herb Garden!